We can all agree that this past winter was brutal and seemingly endless. Generally speaking, spring has never been more anticipated and welcomed than this year. Where does winter end and spring begin? We had timely discussions in our JK classrooms, prior to the official date, so we would recognize spring when it arrived. We read kid-friendly books with promises of better things to come. We printed spring words using our best HWT (Handwriting Without Tears) letters. We drew hopeful pictures of spring in the brightest colours we could find. We took a few pictures in the playground with our iPads of even the slightest hint that spring was around the corner: receding snow banks, patches of ice from the previous day’s melt, and stubborn hedge buds reluctant to unfurl. Spring just wasn’t coming to us fast enough! 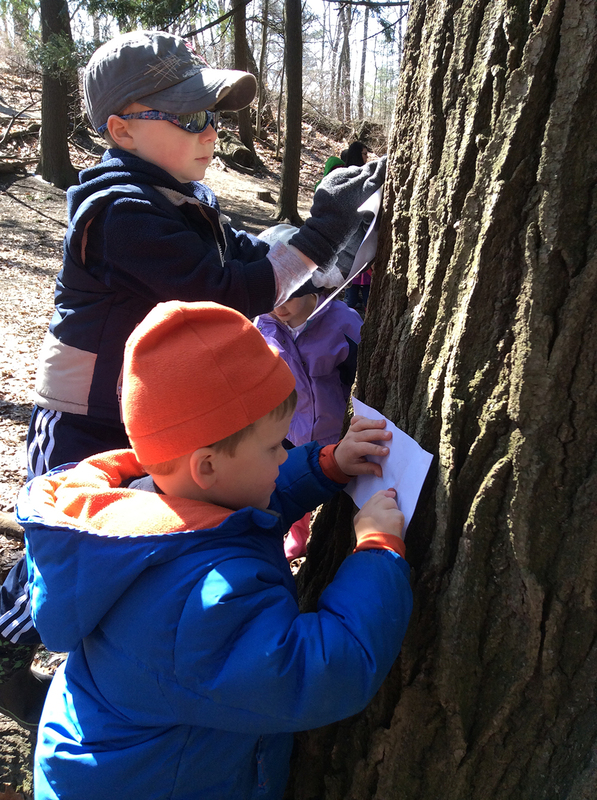 We decided to go on a field trip looking for spring. High Park was close and pretty expansive with its alluring variety of habitats: the wetland, the woodland, and the endangered black oak savannah. Surely we would find spring there! Following a lovely warm spell of sunny weather, snow had fallen on the weekend prior to our trip: one last blast of that relentless polar vortex. Our unfortunate traffic delay on the Humber Bridge, due to road work, hinted that we were definitely getting closer to spring! 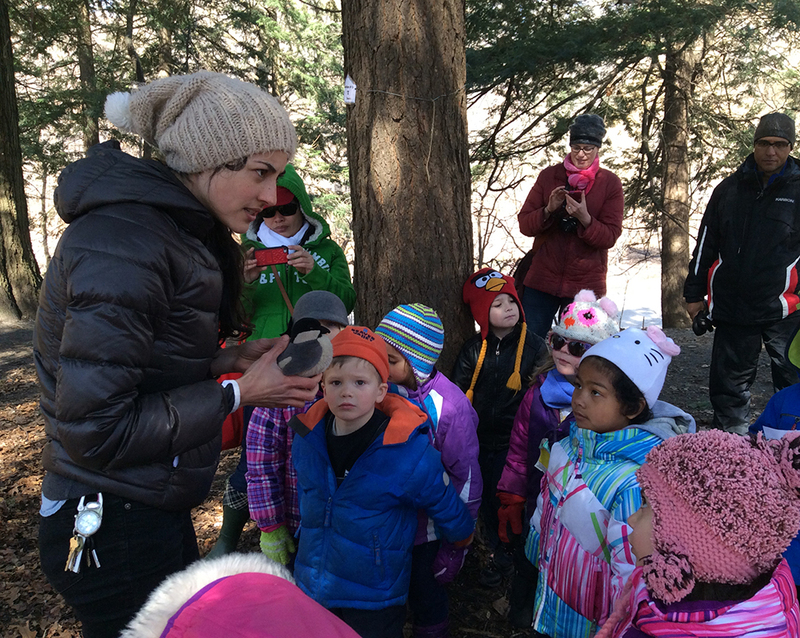 Our two JK classes, along with teachers and parent supervisors, were greeted by two knowledgeable and captivating guides, Katrina and Mallory, who invited us into the intriguing High Park Nature Centre for the first part of our tour. Our students impressed them with their first-hand knowledge of spring during our lively discussion, book reading, and introduction to the resident critters: turtle, lizard, and snake. Our students carefully created seed balls by rolling together mud and seeds for our outdoor planting activity: our contribution for the upcoming Earth Day and for the restoration of the rare black oak savannah. Once outdoors again, in winter jackets and snow pants, our students hurled their seed balls into an open grassland. 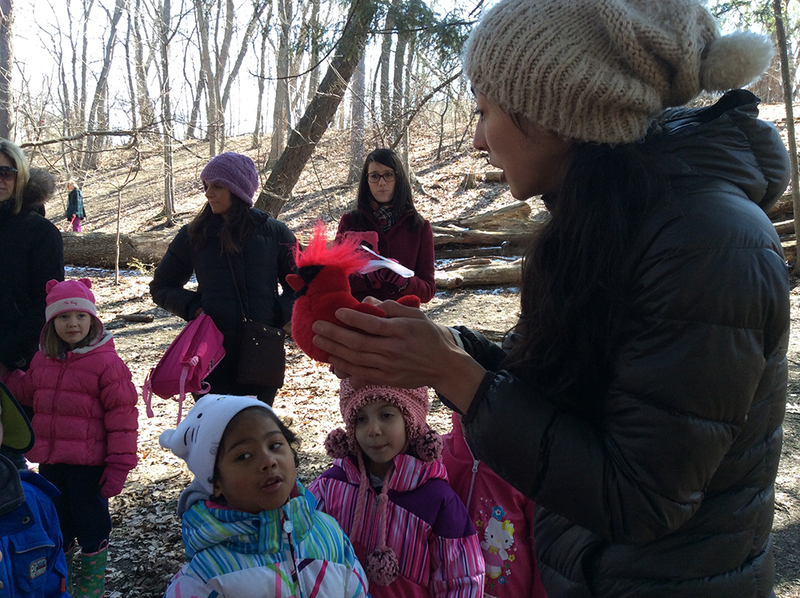 They were encouraged to undertake a sensory exploration while engaged in a nature hike into the woodland. We captured signs of spring with the iPads: tufts of green grass emerging from the leaf piles, footprints in the mud, and buds on branches. We heard the songs of many birds calling for mates and announcing their readiness to start building nests. Our keen guiders kept reaching into their educational pouches, bringing out soft replicas of the elusive birds, and coaxing their proper songs with gentle tummy squeezes. 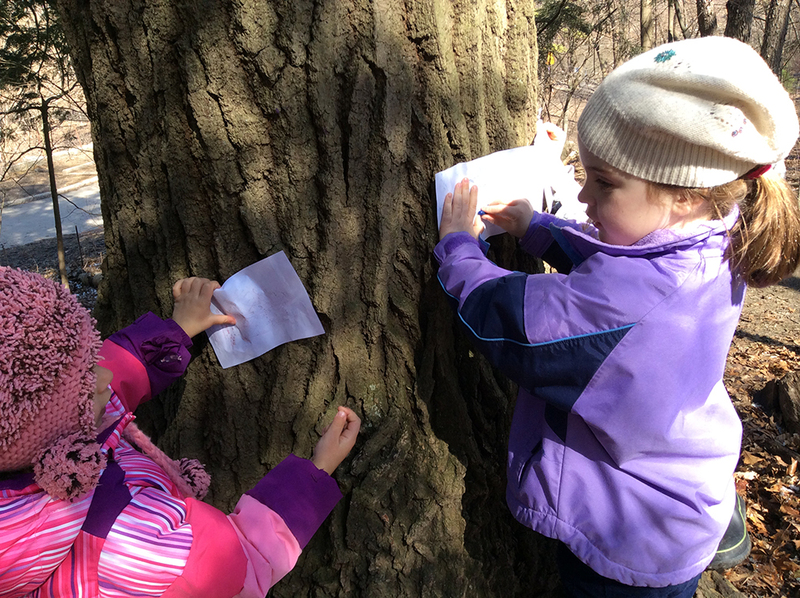 We captured images of the trees through bark rubbings, and we hugged a few trees. It was over too quickly! 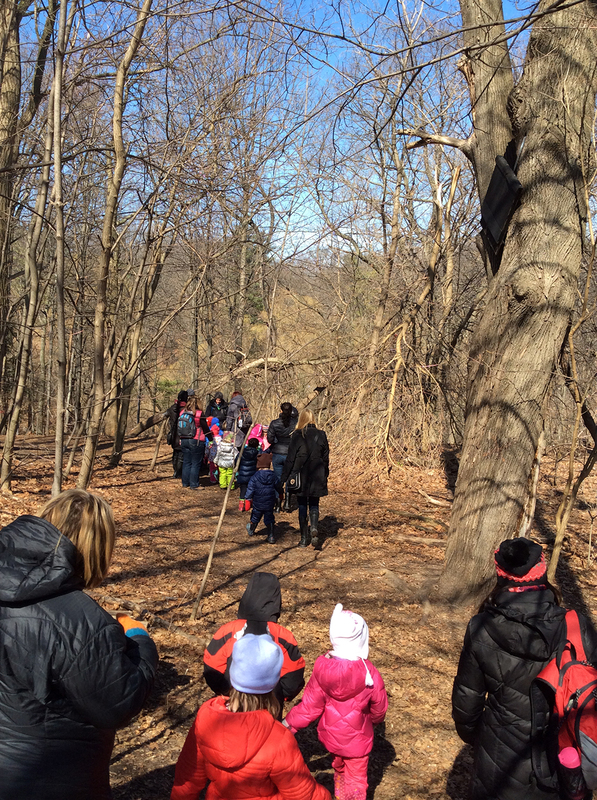 Both the children and adults agreed that it was an amazing field trip. The bus ride home seemed a little quieter, but no one fell asleep! There were so many images dancing in our heads, luring us to come back again. Yes, we found spring, but we still want MORE! On a personal note, I have experienced High Park as a wonderful place for families to spend quality time together. There is nothing more humbling than hand-feeding tiny tame chickadees at the south end of the park. It is not unusual for a butterfly to land on you as you stroll through the beautiful gardens. The chipmunks along the pathways love to gather snacks thrown for them. There are great playgrounds, opportunity for many sports, a small zoo, a pioneer museum, and many special events. What a great place for all family members to slow down, take a mental break, get one with nature, and engage in fun physical activities! I highly recommend High Park as a place to visit frequently.